The relative anonymity of the Internet is the perfect backdrop for online fraud activity. Today, the majority of business transactions are conducted online, and identifying whether or not the transactions are fraudulent is proving to be a tough task. On top of that, protecting customers’ personal data is getting harder as the public has more devices and ways to connect online. With all of these complexities, how can you protect your business and your customers from online fraud? Find out how IP Intelligence can give your organization an advantage in the battle against online fraud. 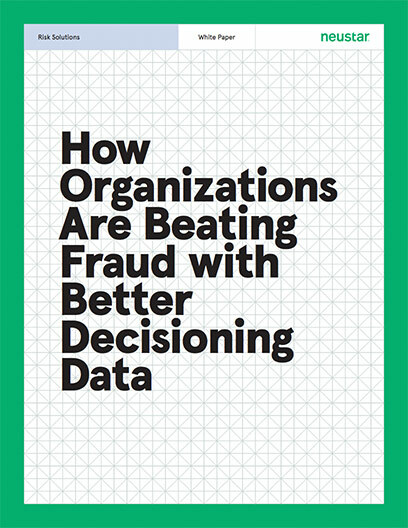 Thank you for downloading How Organizations Are Beating Fraud with Better Decisioning Data!